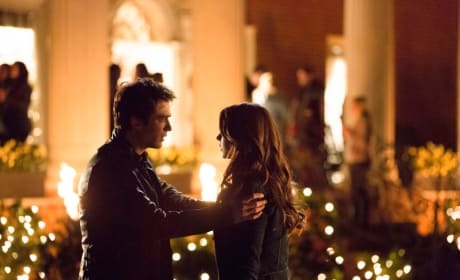 Is it really over between Damon and Elena? 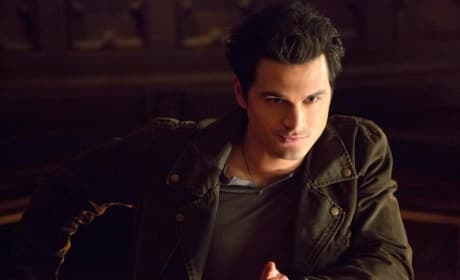 Millions of TVD fans around the nation hope not. 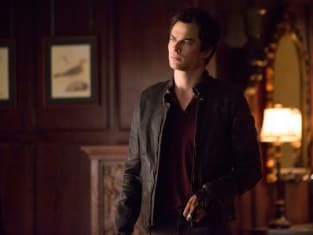 Poor Damon Salvatore. He looks alone and he looks stunned in this scene. 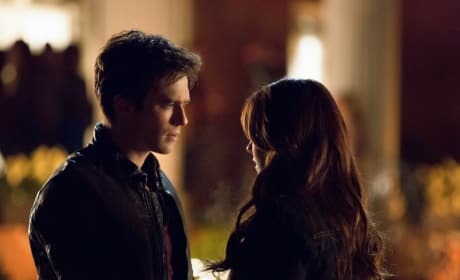 Damon tries to talk some sense into Elena here. 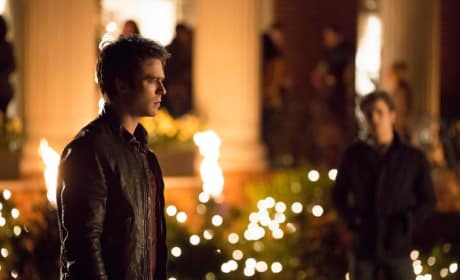 This is a scene from the TVD episode "The Devil Inside." 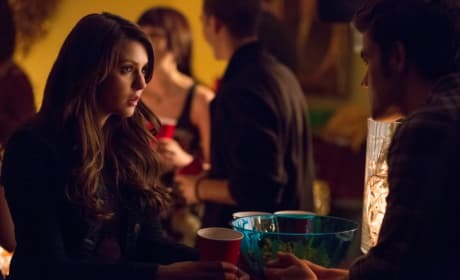 Elena and Stefan share a moment from "The Devil Inside." While taking a break from partying. 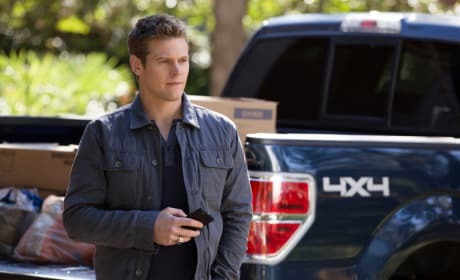 Tyler isn't just back in Mystic Falls. He's back and he's ready to drink. 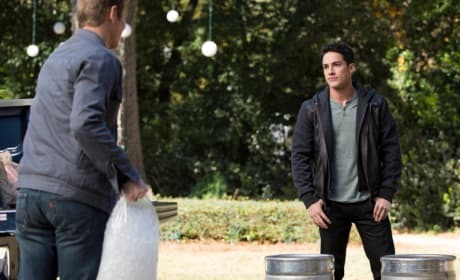 Matt is in deep thought in this Vampire Diaries scene. It is from the episode "The Devil Inside." Tyler is back! And ready to drink some beers! He and Matt prepare for a party here. Enzo is one cool customer. 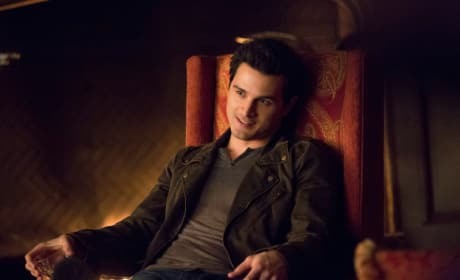 He sits back here and taunts Damon a bit. 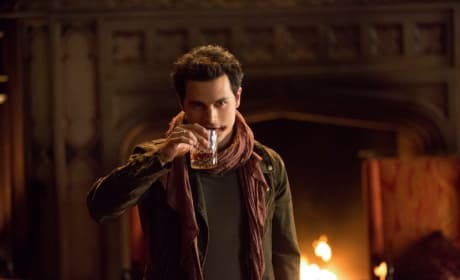 Enzo takes a swig in this Vampire Diaries scene. He's an intriguing new character. 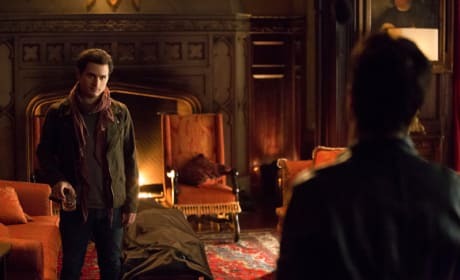 Enzo stares down Damon in this Vampire Diaries scene. He's a very bad influence. Oh, Enzo. What are you up to now? This is taken from "The Devil Inside."